Aging has been defined as a progressive organic functional decline with loss of homeostasis and increasing probability of illness and death. All age-dependent diseases are connected to aging and these diseases have an influence on one another. Some of the mechanisms of aging have been revealed by modern biology, and the data suggest that passage of time alone is not the best measure of aging. Therefore, development of aging biomarkers is necessary to clearly define the aging and disease processes. 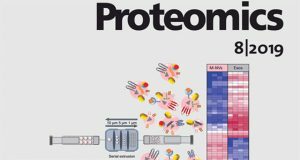 MicroRNAs (miRNAs) are single-stranded non-coding RNAs of approximately 21–23 nucleotides in length that can affect gene expression at the posttranscriptional level by binding to the three prime untranslated region (3′-UTR) of target messenger RNAs. 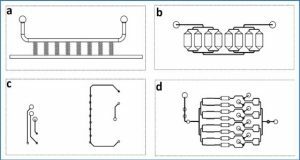 MiRNAs are present in several body fluids including amniotic fluid, breast milk, bronchial lavage, cerebrospinal fluid, colostrum, peritoneal fluid, plasma, pleural fluid, saliva, seminal fluid, tears and urine. 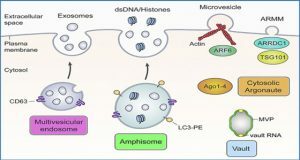 It has been reported that miRNAs are important regulators of cellular senescence and aging. 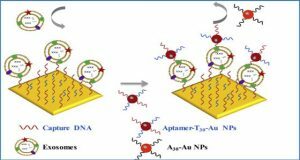 It is also known that serum miRNAs can act as diagnostic and prognostic biomarkers related to the biological and pathological processes of aging. 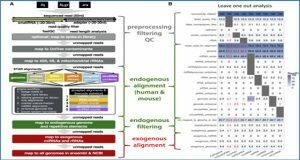 These data suggest that circulating miRNAs may be useful as aging biomarkers. However, there are few reports on the relationships between aging and miRNAs in body fluids other than blood. Saliva contains a variety of molecular and microbial analytes, and may be an effective indicator of both local and systemic conditions. 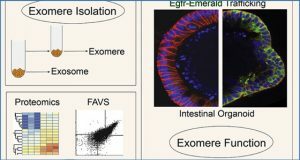 It has been reported that blood-derived molecules entering salivary tissues via transcellular or paracellular routes affect the molecular composition of oral fluids . It is also estimated that miRNA expression profiles in saliva are similar to those in serum. Thus, miRNAs obtained in human saliva may also be considered as candidate aging biomarkers. In the present study, researchers from the Okayama University Graduate School of Medicine hypothesized that salivary exosomal miRNAs are useful aging biomarkers. Therefore, the aim of this pilot study was to examine whether salivary exosomal miRNAs could be identified or not as aging biomarkers. Fifteen young healthy volunteers (median age, 21.0 years) and 13 old individuals (median age, 66.0 years) were recruited. Unstimulated whole saliva was collected, salivary exosomes were isolated, and total RNA was extracted. In a microarray, 242 miRNAs were commonly detected in these two mixed samples. 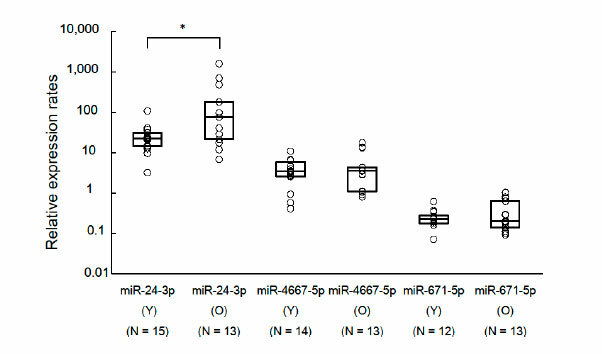 Based on the cut-off values of 2- or 0.5-fold changes (FC) and regulatory power for aging process, six candidate miRNAs (miR-24-3p, miR-371a-5p, miR-3175, miR-3162-5p, miR-671-5p, and miR-4667-5p) were selected. After comparing each total RNA obtained by the 15 young and 13 old individuals to validate the FC values using quantitative real-time PCR, miR-24-3p was identified as a novel candidate aging biomarker. This pilot study suggested that salivary exosomal miRNAs could be identified as candidate aging biomarkers. 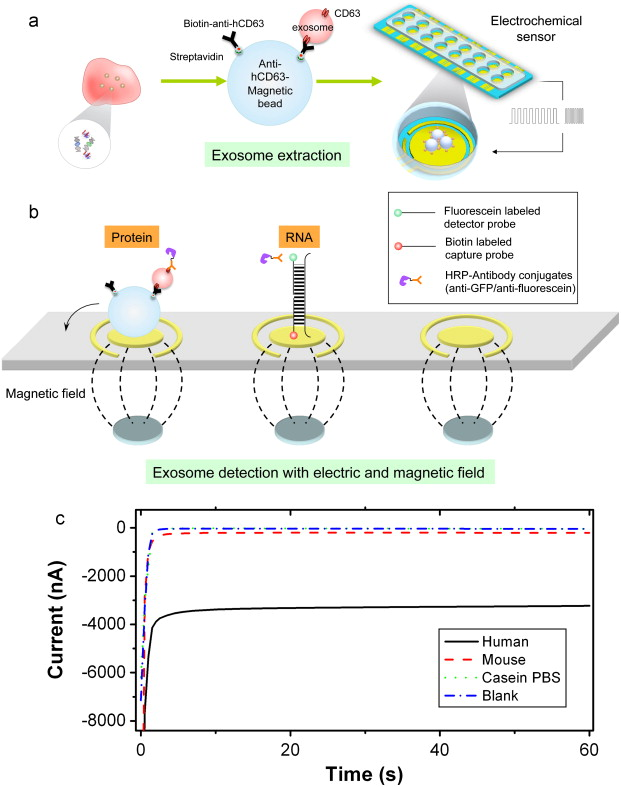 To confirm whether miR-24-3p in salivary exosomes are suitable biomarkers of aging, further validation research is required. Comparison of relative expression rates of candidate miRNAs for aging biomarker between young and old groups. Circle plots represent relative expression rates of each sample. The horizontal lines within each box represent the 25, 50 and 75th percentiles. * p value < 0.05. N: number of samples. Y: samples of young group. O: samples of old group.